The marine engine segment reported net sales of $625.7 million in the third quarter, up 6 percent from $588.2 million in the third quarter of 2015. Brunswick Corp. reported net sales increased 10 percent in the third quarter versus the third quarter of 2015, operating earnings rose 6 percent. Diluted earnings per share of $0.91 increased 21 percent versus the third quarter on a generally accepted accounting principle basis, and as adjusted, increased 18 percent to $0.91. The company raised the lower end of its full-year expectations of diluted earnings-per-share from $3.45 to $3.50, and expects to generate positive cash flow in excess of $215 million, also an increase over prior forecasts. Operating earnings on a GAAP basis increased 6 percent versus the prior year, and adjusted operating earnings increased by 8 percent. Year-to-date net cash from operations was $282.1 million and free cash flow was $157.5 million, both of which were improved versus the prior year. “Our reported third quarter net sales increased by 10 percent,” said Brunswick chairman and CEO Mark Schwabero in a statement. “Our top line reflected the benefits of our acquisition strategy, particularly in our fitness segment, and strong growth rates in all three of our primary boat categories, as well as marine parts and accessories. This growth included another solid performance in outboard engines. The U.S. marine market continues to show solid growth, offset in part by challenging international marine markets such as Latin America, the Middle East and Africa and Canada, Schwabero said. “Our product successes in both our engine and boat segments have enabled continued market share gains and mix benefits,” Schwabero said. For the third quarter of 2016, the company reported net sales of $1.09 billion, up from $991.9 million a year earlier. For the quarter, Brunswick reported operating earnings of $122.5 million, which included $2.4 million of restructuring and integration charges related to recent fitness acquisitions. This compares with operating earnings of $115.8 million in the third quarter of 2015. For the third quarter of 2016, Brunswick reported net earnings of $85.3 million, or $0.93 per diluted share, compared with net earnings of $72.2 million, or $0.77 per diluted share, for the third quarter of 2015.
International sales, which represented 31 percent of total segment sales in the quarter, were up 1 percent compared to the prior year, and flat on a constant currency basis. For the quarter, the marine engine segment reported operating earnings of $109.5 million, compared $102.5 million last year. 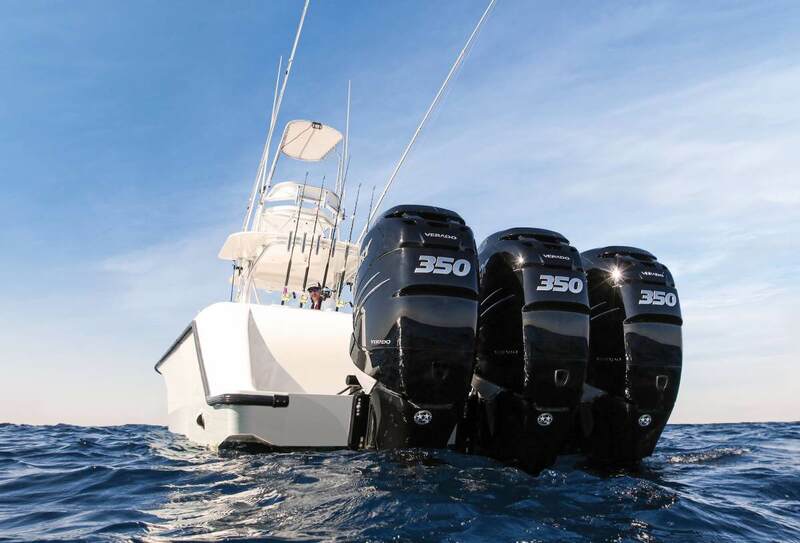 Sales increases in the quarter were led by Mercury’s parts and accessories businesses and the outboard engine business, partially offset by declines in the sterndrive engine business. Higher revenues and cost reductions contributed to the increase in operating earnings in the third quarter of 2016. Partially offsetting these positive factors were the unfavorable impacts from foreign exchange and planned increases in growth investments. The boat segment reported net sales of $307 million for the third quarter of 2016, an increase of 13 percent compared with $271.3 million in the third quarter of 2015.
International sales, which represented 21 percent of total segment sales in the quarter, increased by 11 percent compared to the prior year period. On a constant currency basis, international sales were up 10 percent. For the third quarter of 2016, the boat segment reported operating earnings of $6.8 million. This compares with operating earnings of $6.4 million in the third quarter of 2015. The boat segment’s increased revenue reflected strong growth across all three of the company’s primary boat categories. Operating earnings comparisons benefited from higher sales, while the impact of continued lower sales volume of large sterndrive/inboard boats, along with increased levels of revenue and profit enhancing investments, unfavorably affected comparisons. The company expects top-line performance for the year to benefit from “solid market growth” in the United States and Europe, as well as due to success of new products. That will be partially offset by weakness in other international markets and the negative impact of a stronger U.S. dollar, Schwabero said. “For the full year, we anticipate a slight improvement in both gross margins and operating margins, as we plan to continue benefiting from volume leverage, cost reductions and savings related to sourcing initiatives and a modestly net positive sales mix, partially offset by incremental investments to support growth as well as an unfavorable impact from foreign currency. Operating expenses are projected to increase in 2016; however, on a percentage of sales basis, are expected to be at slightly lower levels than 2015,” Schwabero said.